Researchers now believe that they have discovered some of the most definite indication yet that primitive life may once have existed on Red Planet. 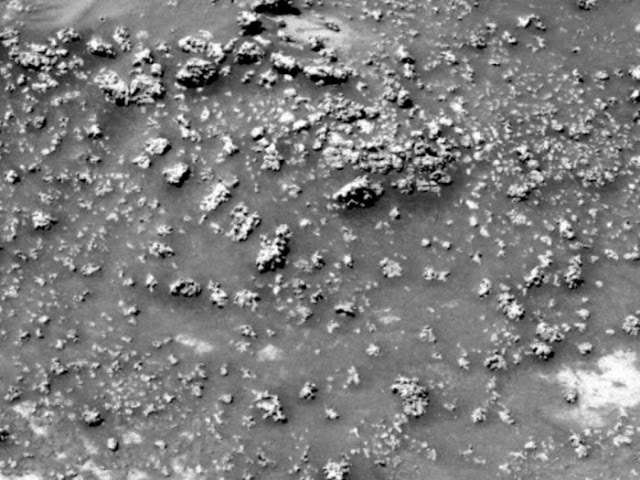 Mineral deposits photo'd by the Mars Spirit Rover thoroughly look like ones found in similar circumstances here on Earth, which were made by living microbes. The formations were spotted inside Gusev crater on Mars in 2008/9. Identified as being made of opaline silica, the formations appeared like little "cauliflowers" but researchers still cannot explain why. Now researchers from Arizona State University have spotted same formations in some of the toughest areas on earth, counting the Atacama Desert in Chile – the driest area on planet earth – and the volcanic areas of New Zealand. Steven Ruff and Jack Farmer consider that these fossilized relics may have been made in the same exact way. Though it may be a while before Ruff and Farmer's concept can be studied. The Curiosity Rover is too far from Gusev Crater and there is no considerable way to bring back the formations for examination. It is anticipated that the next Marian rover to land in 2020 may land way much closer to the formations and perhaps get a bit closer to the reality. Researchers have speculated about the likelihood of life on Mars for hundreds of years, when it was believed the planet was crisscrossed by canals. In spite of random false alarms, and strange claims about crabs,coffins and gorillas, no sign of extra-terrestrial life has yet been verified – on Mars or anywhere else in the solar system. In fact moons for instance Europa are supposed to be far more likely to support life than the tough environment of Mars. The finding of running water on Mars elevated hopes but the water there is mineral-heavy and to date no hint of life has been found so far. However if it might be verified that life once existed on Mars, that would propose that it could initiate and grow across the cosmos, which would rank as one of the most significant discoveries of all time.